This article shows a custom heater cover that I installed for my client. As such, some of the details are different than they are for the heater covers that I ship for homeowners to install themselves. 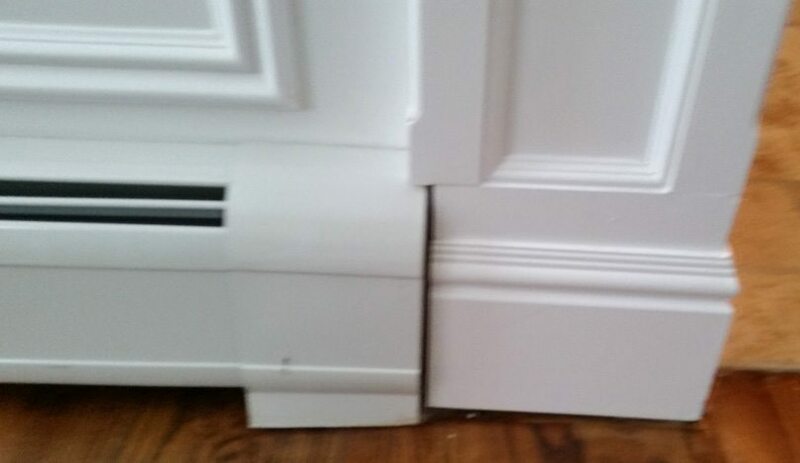 Even the nicest homes with wonderful trim details can sometimes have these Monstrosities........Metal covers for the baseboard heat. Fortunately, there is always something that can be done, without having to remodel the central heating system of your home. I drew up several treatments for my client. 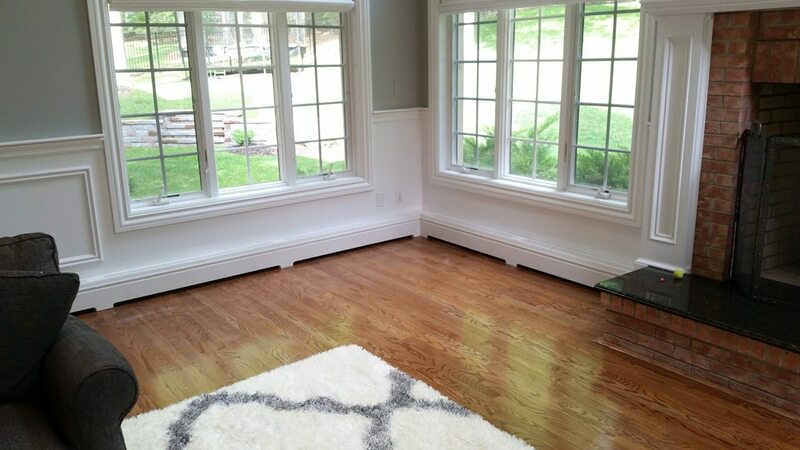 They wanted the baseboard heat to disappear as much as possible. We decided to the best way to do this was to integrate the baseboard moulding into the heater cover. The first step as always is to measure up the rooms and draw up plans. Then the covers are made in my shop to size, and finished inside and out, with white paint in this case. The final result is worth the effort, the new heat covers blend in nicely, and will vent the heat very well. 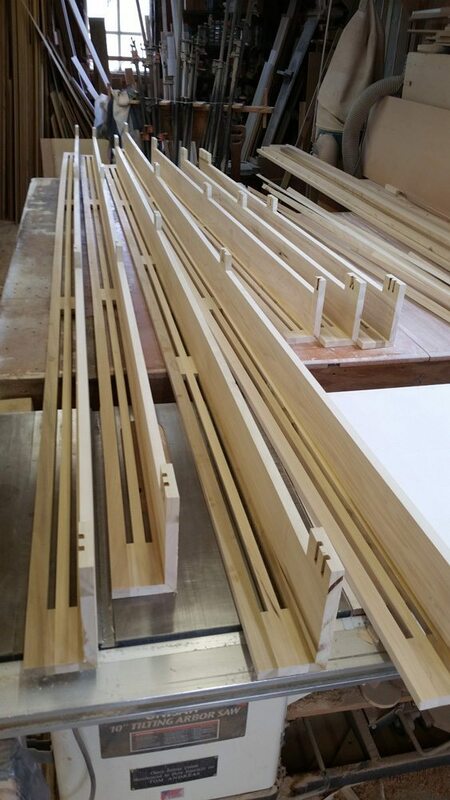 If you would like to make your home more beautiful with the addition of custom woodwork, please contact me for an in-home appointment. All my clients enjoy one on one personalized service. 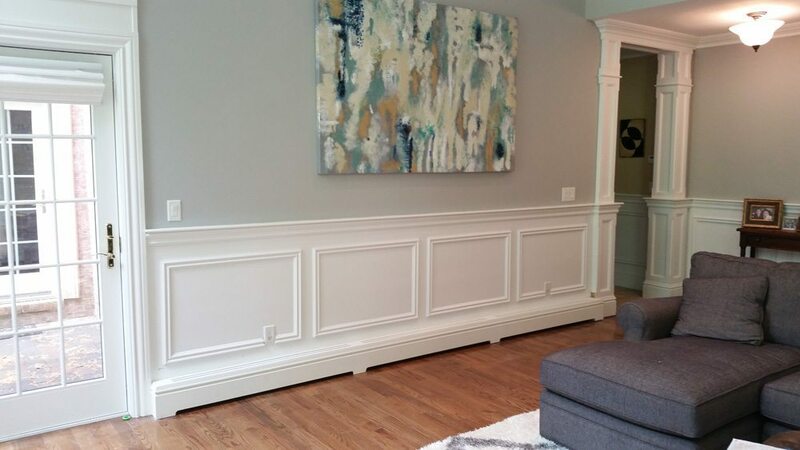 I have been getting such an incredible response from people all over the country reading about this project I did a while back on making custom baseboard heater covers. People want to know if they can get them for their own home and install them themselves. I have been working hard to made this truly custom product available for purchase through my online store. 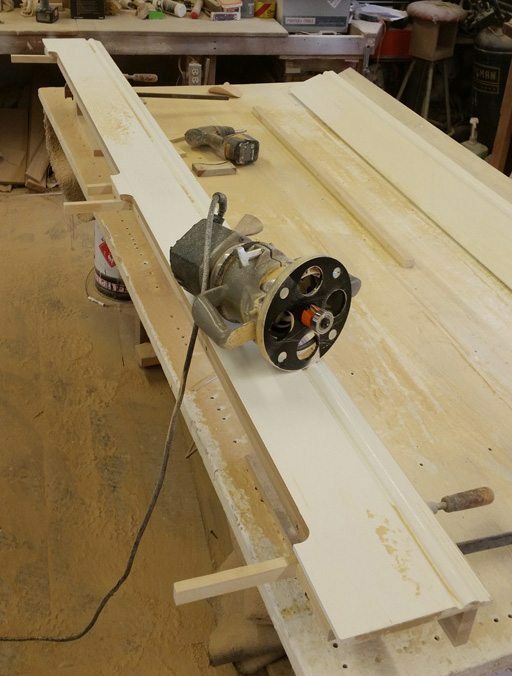 Although it is a work in progress, it is now possible to easily place an order for the exact style and size Baseboard Heater Cover you want, and in a choice of materials too. 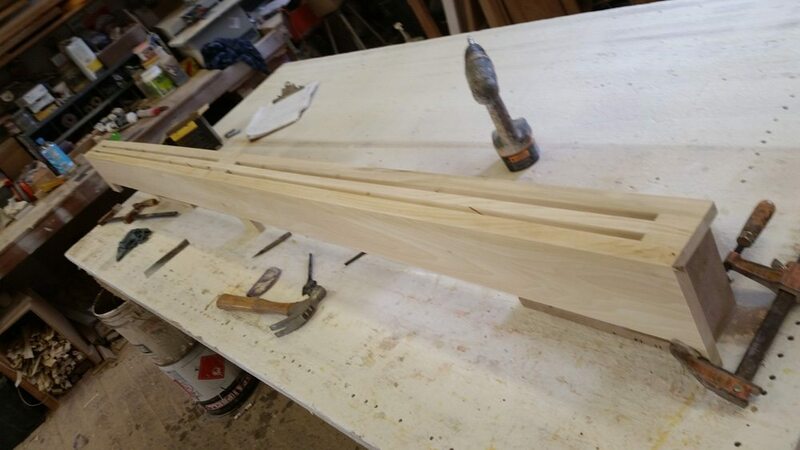 There are many ways to design an attractive wood cover. The metal fins of the heater can be concealed behind a panel, under a window seat or inside an nicely designed cover that is decorated with little panels, or faced with the same baseboard moulding as the rest of the room. I usually remove the existing metal cover so that the new cover need not be too big. But it is important to keep a height close to the original metal cover so that the heat flows properly. These heat covers are like little chimneys and rely on a good flow of air, coming in at the bottom and out at the top. Just like a chimney, the air may not flow properly if they lack enough height. Usually about 7" - 8". I live on Long Island. 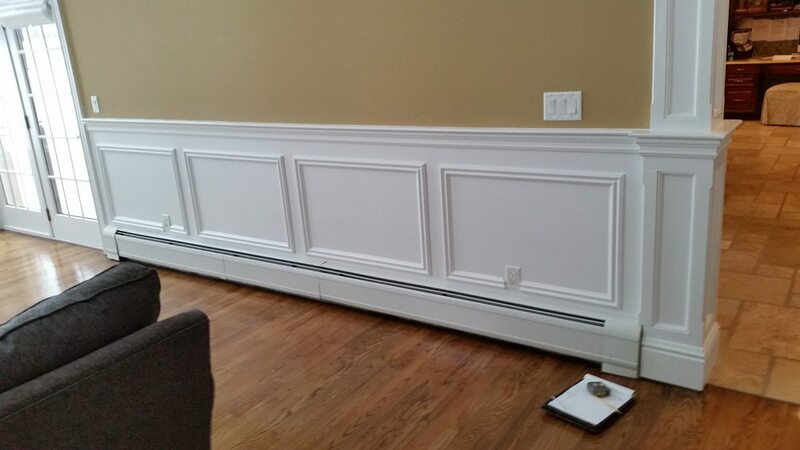 thanks for your interest in my custom Baseboard Heater Covers. For a while now I have been making Custom heater covers and installing them myself, but so many people are asking for them now from all over the country that I have been working on making the heater covers available for purchase online. I have designed several styles that can be installed easily and look great. I am still getting photos together so not all styles are represented on the page yet, but you can enter all the details for your heater covers and see the cost and order the cover too. If you have a unique project that doesn’t seem to fit into the form well and would like some answers, you can use the Information request form on the bottom of the page to do that. You can use the form to ask me questions, send project details and also send photos and files to help explain the project. I hope you will look it over and let me know what you think, suggestions are welcome. also, feel free to contact me with any questions. Any issues regarding safety – as generally combustible materials have code requirements in terms of proximity to heat sources such as baseboards? Very curious. Great execution, they look wonderful. Thanks for writing to ask about my custom wood baseboard heater covers. It is a good question and I am happy to offer some clarity. My wood covers are designed for hydronic (hot water) baseboards. There are no safety issues using the wood covers over you metal hot water heaters. The water temperature in a hot water system is about 160 – 180 degrees, well below what would cause a safety problem as far as igniting anything flammable. If this were not the case hot water baseboard heaters would be far too dangerous to put in your home. It is very common for curtains and such to be touching a baseboard heater and there is not a problem or many houses would have burst into flames long ago. That being said I will add that I DO NOT RECOMMEND USING MY WOOD HEATER COVERS OVER ELECTRIC BASEBOARD HEATERS. 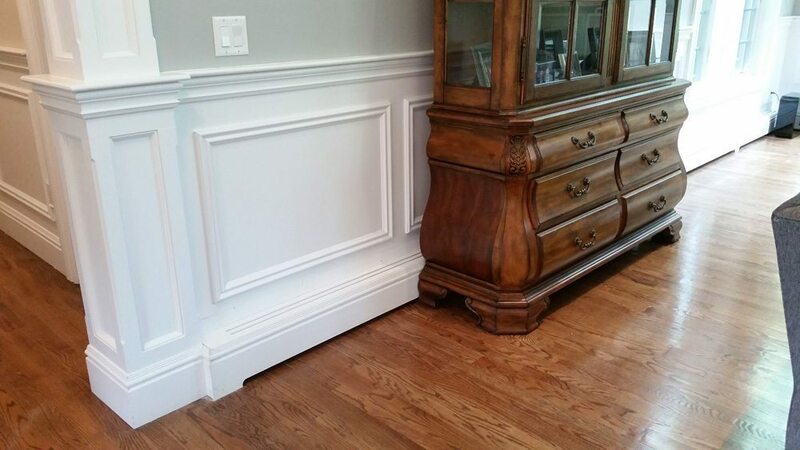 This entry was posted in Baseboard Heat Covers, Before & After, For Woodworkers, Trim, Wainscot and tagged Painted Finish on May 17, 2015 by tom.